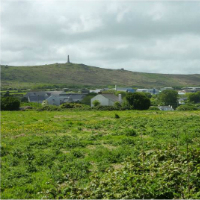 Following successfully securing a hybrid planning permission for phase one of an urban extension in Redruth, Tetlow King Planning (TKP) have been appointed to promote land within phase two for development. The hybrid application for phase one included a masterplan of the entirety of the Tolgus Urban Extension. Phase one comprised detailed permission to transform the A3047 dual carriageway into an attractive urban street and new gateway to Redruth; and outline permission for up to 370 dwellings, employment space, community facilities and green infrastructure. TKP was instructed to co-ordinate, prepare and manage the planning application and the associated Environmental Impact Assessment; on behalf of Percy Williams & Sons Ltd., a long established, family-run building company based in Redruth. A landscape-led approach was taken to ensure the best possible development for the site and the design team engaged extensively with officers, statutory bodies and members of the public throughout the process. We have subsequently secured a reserved matter permission for the first initial phase of the phase one development. TKP has continued to promote the second phase of the urban extension through the Cornwall Site Allocations Plan and submitted representations and attended the examinations for the Cornwall Site Allocations Plan and the Minerals Safeguarding Development Plan Document. An outline planning application has been submitted for up to 64 dwellings for a land parcel within phase two of the urban extension and a decision is anticipated in Autumn 2018.